Alexander Rossi took pole position for IndyCar's Long Beach Grand Prix for the second consecutive season, usurping Scott Dixon from the top of the timesheets late on. Will Power was third fastest in the 'Fast Six' pole qualifying session, 0.393s back from Rossi, and ahead of Penske team-mates Josef Newgarden and Simon Pagenaud. A red flag caused by series rookie Felix Rosenqvist proved costly for a number of high-profile drivers in the second part of qualifying. 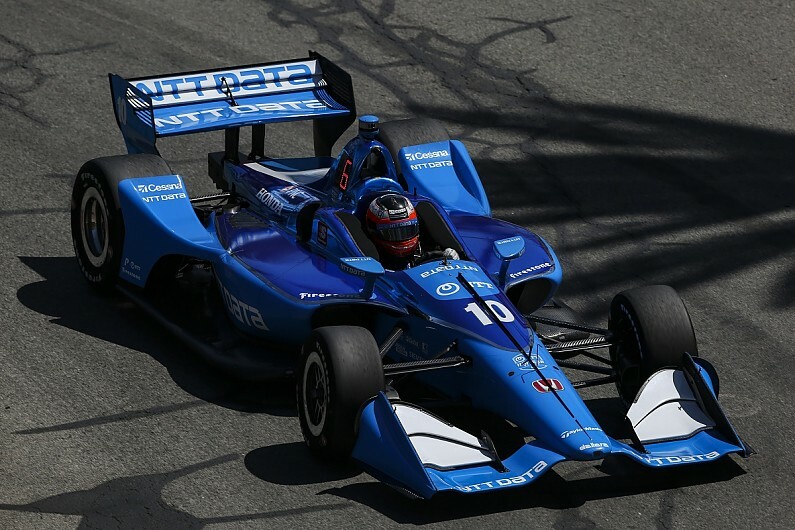 The Ganassi driver was in a position to comfortably advance into the 'Fast Six' but chose to have one more flying lap. As a result Rosenqvist's fastest time in the session was wiped, putting him down to 12th on the grid, and Ryan Hunter-Reay, Patricio O'Ward, and Colton Herta - who all had opportunities to post one more fast lap - were unable to complete final fast runs. They will start seventh, ninth, and 10th respectively, with Barber winner Takuma Sato among them in eighth.